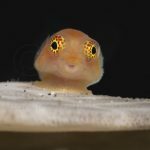 A seldom seen and poorly known fairy wrasse has just made an appearance thanks to Monsoon Aquatics, and, for the first time, it’s been shown that this undescribed species glows red! 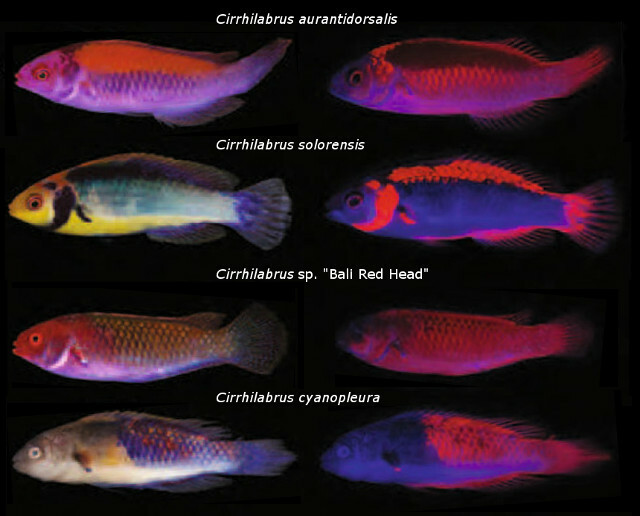 Though we still have a rather limited understanding for how Cirrhilabrus diversified into its many unique fishes, one key driver likely has to do with how different groups within the genus communicate among themselves. 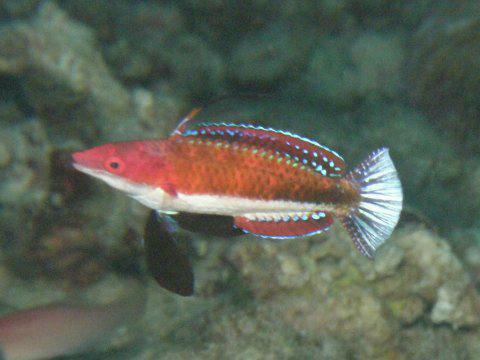 For instance, the recently described Monsoon Fairy Wrasse (Cirrhilabrus hygroxerus) belongs to a widespread and hyperdiverse lineage that has developed highly elongated pelvic fins and a reflective blue sheen on the caudal fin used for mating diplays. On the other hand, a couple of familiar aquarium species, the Solor Fairy Wrasse (C. solorensis) and Blueside Fairy Wrasse (C. cyanopleura), belong to a very different group which has relatively stubby pelvic fins and which has acquired a novel approach to self-recognition. 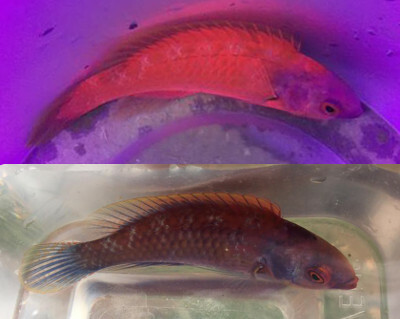 For these wrasses, there is no tail shimmer, nor is there the sort of bright “flashing” of nuptial patterns seen in the Flame Wrasse (C. jordani) and its ilk; instead, this lineage has evolved a more covert manner for communicating—fluorescence. Each species in this lineage possess its own unique arrangement of darkened scales, along with secondary pigments that overlap these in parts, resulting in species-specific fluorescent patterns. These are invisible to us, as we lack the ocular biology to see in this ultraviolet spectrum, but, with the aid of a bright source of UV radiation, this pattern can be rendered visible. 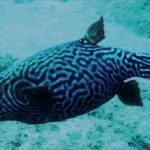 I’ve written previously about the research of Dr. Tobias Gerlach, who examined a handful of different fairy wrasses using this technique, documenting these hidden patterns. The image shown here illustrates members of the cyanopleura group, and it’s quite easy to see how each of these has a very distinct look from the others. 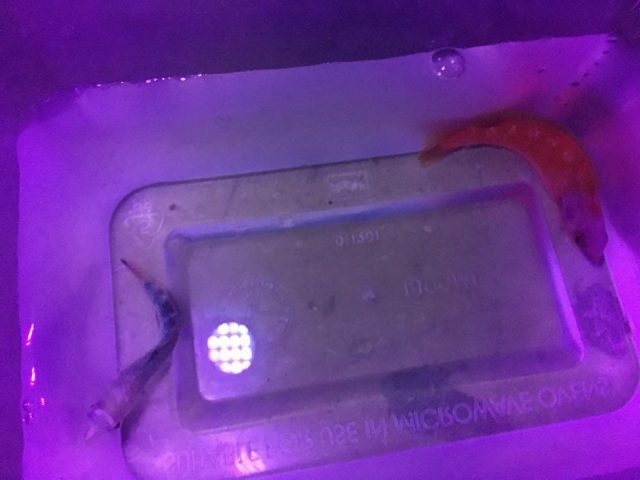 Now if you compare these to the mysterious glowing wrasse collected by Monsoon Aquatics, you’ll find that there is a nearly identical appearance with another undescribed species—the “Bali Red Head Wrasse”. 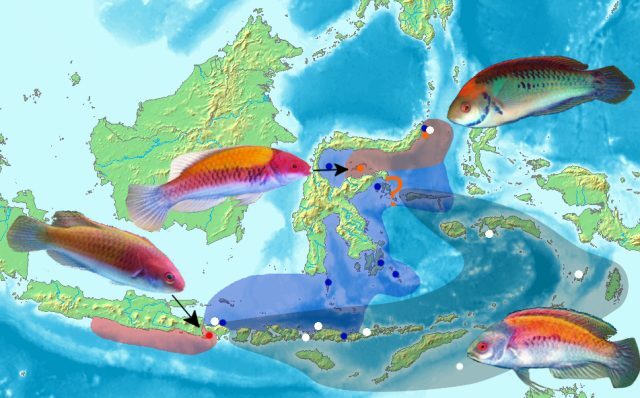 In my phylogenetic discussion of this genus, I speculated that these two species (along with C. aurantidorsalis, C. randalli and C. luteovittatus) formed a single group that speciated across the Coral Triangle along the same geographic boundaries common to many other reef fishes. And we see strong evidence for this close relationship in their similar fluorescent markings (a common pattern of a weakly fluorescent body and a non-fluorescent head). Cirrhilabrus solorensis is perhaps the next closest relative, but it shows a markedly different pattern, with a blazingly bright band of fluorescence along the operculum and beneath the dorsal fin. Cirrhilabrus cyanopleura differs as well, with the blue hood of that fish masking the underlying dull fluorescence of the body. Monsoon Aquatics collected this fish in the same Timor Sea habitat that’s home to C. hygroxerus, with the two species swimming side by side in what has to be one of the ultimate rare wrasse ecosystems. 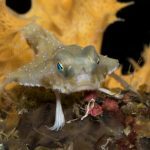 Though it has long been confused and misidentified, this fish is not terribly difficult to recognize if one knows what to looks for. It’s most distinctive feature is the dull, greyish head and the subtly darkened margins of the operculum and preoperculum. 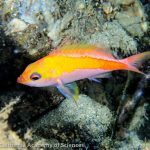 In other respects, it’s quite similar to the Orangeback Fairy Wrasse (C. aurantidorsalis) of Sulawesi and the Red Head Wrasse (C. sp) of Bali, all of which tend to develop a golden shade to the back. An updated distribution map for this group. Cirrhilabrus randalli and C. luteovittatus have been left off. 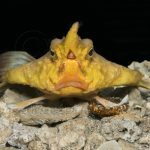 So far, it’s only been documented from a handful of localities in Eastern Indonesia, of which this most recent discovery in the Timor Sea is a small southerly range extension. These poorly studied reefs circle the Banda Sea, and, for this reason, I’ve referred to it as the “Banda Fairy Wrasse”. 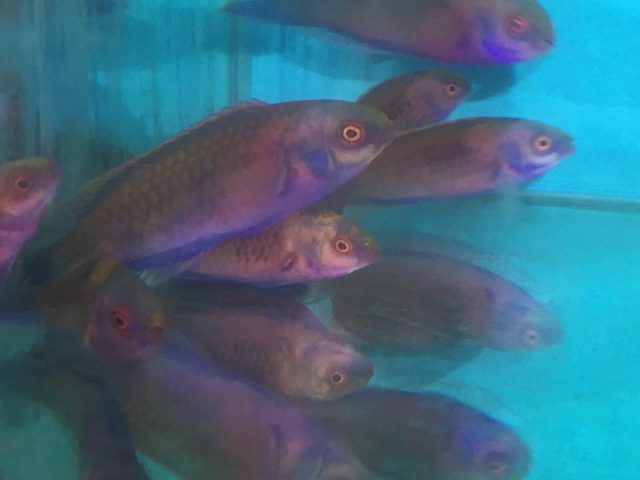 There are some other names floating around for it as well, with Rudie Kuiter’s labrid tome calling it the Dull-head Fairy Wrasse and Monsoon Aquatics marketing it as the Darwin Red Fairy Wrasse (perhaps a bit inaccurately, as this fish doesn’t occur in Darwin). With such a small range in the wild and with relatively little aquarium collection taking place there, this is likely to remain a rather uncommon fairy wrasse. 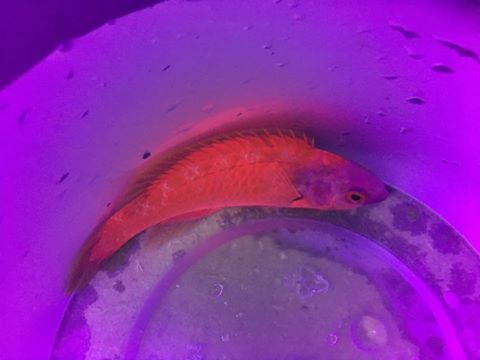 While it may not be quite as flashy (literally) as some of the more colorful Cirrhilabrus, this enigmatic species is sure to be popular with rare fish collectors and wrasse lovers, though, with such a small supply, it could be a challenge finding one.